Our diverse faculty includes fifteen professors with Ph.D.s in areas ranging from platelet cell biology to aquatic ecology. Our focus is to provide a well-rounded science education and encourage learning outside the classroom (through teaching assistantships, research and job opportunities). Completing the biology major requires that you take a concentration of courses in biology together with supporting courses in chemistry and mathematics. We hope that you will find a home within the Biology Department at Augustana and take advantage of our small class sizes (8-30 students for Jr/Sr level classes), careful advising, and faculty who challenge students — as well as nurture and support them. Dr. Beraldi completed her Ph.D in developmental biology at University of Siena in Italy. She moved to the USA to do scientific research as a post-doctoral research fellow at Mayo Clinic. She was working on cardiovascular diseases and on application of stem cells technologies to cure cardiac diseases. Later, Dr. Beraldi moved to Sioux Falls to work as a staff scientist at Sanford Research. Her project was to develop a pig model to study human neurological diseases. During her scientific career Beraldi was author of several publications. She is currently teaching Introductory Biology and Human Physiology. Dr. Egland teaches Introductory Biology, Introduction to Microbiology, Cell Biology and General Microbiology. Dr. Egland’s research focus is interspecies signaling between bacteria in the dental plaque biofilm. In addition, Dr. Egland serves as the chief health professions advisor and is the pre-professional advisor for pre-dentistry and pre-medical students. He is also the faculty advisor to the Pre-Med Club. Dr. Egland received his Ph.D. in microbiology from the University of Iowa and worked as a post-doctoral fellow at the National Institute for Dental and Craniofacial Research at the National Institutes of Health in Bethesda, Md. Dr. Gubbels teaches Introductory Biology, Human Physiology, General Physiology, and Immunology. Her research focuses on mechanisms of metastasis and immune escape in epithelial ovarian cancer. Dr. Gubbels received her bachelor’s degree in biological research from Loras College in Dubuque, Iowa, and her Ph.D. in endocrinology and reproductive physiology from the University of Wisconsin-Madison. Dr. Johnson joined the biology department in the spring of 2018 and is currently teaching Human Anatomy. She received her bachelor’s degree in Animal Science from College of the Ozarks, master’s degree from Northwest Missouri State University, and Ph.D. from Kansas State University. During her graduate school career, her research areas focused on both reproductive and stress physiology in dairy cattle. She comes to Augustana from Kansas State University where she taught Cadaver Dissection of the Human Body. Prof. King is a faculty associate and the laboratory coordinator for the Biology Department. She teaches labs for Introduction to Biology Principles I, Genetics, Cell Biology, Introductory Microbiology, and General Microbiology. She received her bachelor’s degree in medical technology from Southwest Missouri State and her master’s degree from the University of Missouri at Kansas City. She has been certified in medical technology by the American Society of Clinical Pathologists. Dr. Kloth teaches Introductory Biology, Human Physiology, and Neurobiology. His research uses techniques in behavior, neuroanatomy, and electrophysiology in mice to study the symptoms, etiology, and possible treatments for neurodevelopmental disorders, a class of disorders that include autism. He received his bachelor's degree in biomedical engineering from Duke University and his Ph.D. from Princeton University. He comes to Augustana from the University of North Carolina, Chapel Hill, where he was a SPIRE postdoctoral research scholar, and North Carolina A&T State University, where he taught biology. Dr. Larson teaches Introductory Biology, Biochemistry, Pharmacology and Cell Biology. His research focuses on platelets, platelet function, and platelet biogenesis. He is also the pre-professional advisor for medical lab science. He received his bachelor’s degree in biology and chemistry at Concordia College and his Ph.D. in pharmacology from the University of North Carolina at Chapel Hill, and he worked as a post-doctoral research fellow at the Centre for Cardiovascular Research at the University of Birmingham (U.K.). Dr. Lewis teaches Biology and Human Concerns, Introduction to Biological Principles I, Introduction to Environmental Science, Principles of Ecology, and Ornithology. She received her bachelor’s degree in biology from Bowdoin College, her master’s degree in ecology from The Pennsylvania State University, and her Ph.D. in biological sciences (wildlife) from South Dakota State University. Dr. Mallowa joined the Augustana University Biology Department in the fall of 2015. Dr. Mallowa has a Ph.D. in Plant Pathology from Iowa State University and comes to us from Iowa State University, where she has been working as a post-doctoral scholar in the department of plant pathology. She is the 2015 recipient of the APS – Office of International programs Global Experience Award in support of her multi-national extension and teaching proposal to strengthen the knowledge of farmers and students on cassava virus diseases in East Africa. Dr. Matzner teaches Introductory Biology, Environmental Science, Plant Ecology and Plant Physiology. 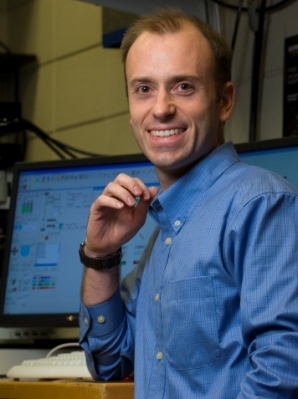 His research is focused on the ability of plants to adjust their water-conducting systems in response to the environment (termed hydraulic acclimation). He is the faculty advisor to GREEN, the Augustana student environmental awareness group, and he is the pre-optometry advisor. He is a first-generation college student and received his Ph.D. from the University of California at Davis and worked as a post-doctoral researcher at the Boyce Thompson Institute for Plant Research at Cornell University in Ithaca, N.Y.
Dr. Miles teaches Developmental Biology, Vertebrate Embryology, Introductory Biology and Biology and Human Concerns. Her research is focused on the genetics of variation in egg size (per-offspring maternal investment) and how shifts in egg size affect key developmental events as well as fitness of parents and offspring. She received her bachelor's degree in marine biology from Texas A&M University, her master's degree in biological sciences from Florida Institute of Technology and her Ph.D. in zoology from the University of Florida. Dr. Miles was a postdoctoral fellow at the University of Chicago, doing research on resolving spatial patterning and egg size in Drosophila. Dr. Olson-Manning teaches Bioinformatics, Evolution, Genetics, Medical Genomics (Scientific Impacts and Intersections), and Introductory Biology. Her research is focused on understanding how biochemical pathways are arranged and how they evolve, which she studies in both plant and animal systems. She received her bachelor's degree in evolution and genetics from the University of Minnesota and her Ph.D. from Duke University. She comes to Augustana from the University of Chicago where she studied the evolution of the corticosteroid pathway in vertebrates. Dr. Olson-Manning is a co-adviser for the Biology Club. Dr. Spencer teaches General Ecology, Aquatic Ecology, and introductory biology courses. He leads a course to Guatemala and Belize during interim called Coral Reefs, Tropical Forests, Mayan Ruins, and Spanish Language Immersion. During the summers, Dr. Spencer is an adjunct faculty member at the Flathead Lake Biological Station (University of Montana), where he studies lakes and streams and the effects of wildfire, timber harvest, and non-native species introduction. He received his Ph.D. from Michigan State University. Dr. Vitiello teaches Genetics, Molecular Biology, Genetics and Society (Scientific Impacts and Intersections), and Nature and Nurture (Scientific Impacts and Intersections). Her primary research project focuses understanding novel polymorphisms identified during genetic testing of pediatric patients. Dr. Vitiello is a first-generation college student and received her Ph.D. in Biochemistry from the University of Rochester School of Medicine and Dentistry, followed by a post-doctoral research fellowship there and at Sanford Research. Dr. Vogelmann taught Introduction to Biological Principles I & II, Biology and Human Concerns, and Human Anatomy. In addition, she was the main laboratory instructor for General Physiology. She received her B.S. degree in biology from the SUNY College of Environmental Science & Forestry, M.S. in botany from Texas A&M University, and Ph.D. in biology/botany from Indiana University. Dr. Diggins taught Physiology, Endocrinology, and introductory biology courses. Her research focuses on the relationship between increasing obesity and decreasing fertility and the involvement of the hormone leptin. She is also the program coordinator for the South Dakota INBRE grant from the National Institutes of Health, and she serves as the pre-physical therapy advisor. She received her Ph.D. in biology from Northwestern University in Evanston, Illinois. Dr. Olness taught Biology and Human Concerns, Life Science for Elementary Teachers, Science Methods for the Elementary Teacher, Science Methods for Secondary Teachers, and Mathematics, Science, and Technology for Elementary and Middle School Teachers. Her interests include writing-to-learn science and cooperative learning. She received her Ph.D. from the University of Minnesota. Dr. Tieszen taught Environmental Physiology and Plant Physiology in addition to core courses. He led numerous NSF-funded Undergraduate Research Projects and conducted research with undergraduates which provided significant contributions in the areas of C3 and C4 photosynthesis, Carbon Isotope Fractionation and Dietary Tracing in humans and wild animals, and the integration of Photosynthesis, Remote Sensing, and Modeling to quantify carbon fluxes under climate change and land use. He worked at EROS for 12 years, and integrated these specialties with the department. In addition, he led Ecology of East Africa and Asia courses in the January Term.